Corporate jet customers are now poised to benefit from this airliner heritage, enhanced by specific features, such as extra fuel tanks in the cargo hold that contribute even more intercontinental range, an improved cabin atmosphere, a higher maximum take-off weight and cruise altitude, and airstairs. 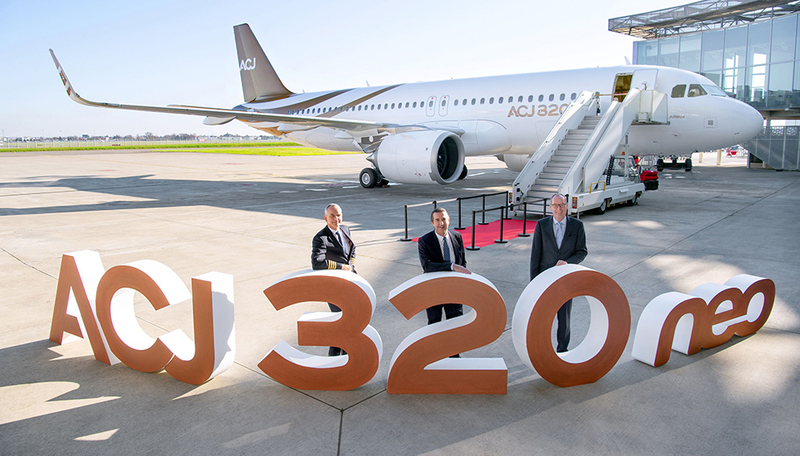 In addition to the their new fuel-saving engines and Sharklets, ACJ320neo Family aircraft have the widest and tallest cabins of any business jet, without costing more to operate or taking up more ramp space. The ACJ Family includes a complete family of VIP widebodies that can carry even more passengers nonstop around the world – including the new ACJ330neo and ACJ350 XWB.